Happy 1st of December! You know what that means don't you? It's the start of Blogmas! 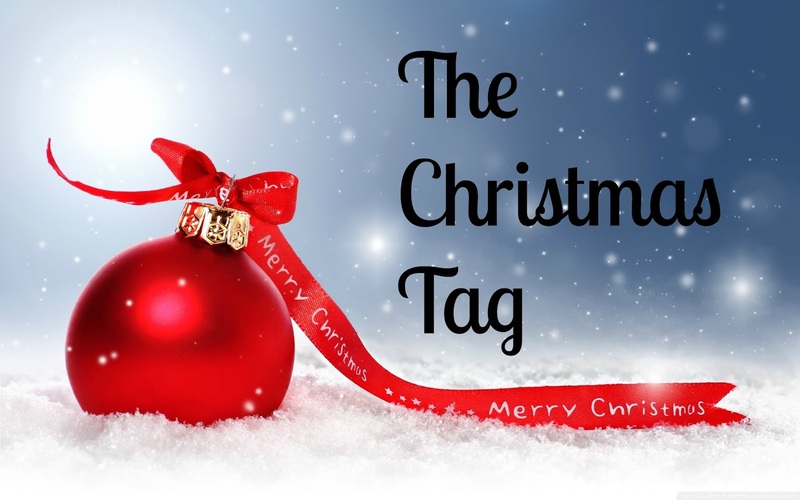 To kick start Blogmas i thought i would do The Christmas Tag to help you get into the festive spirit! 1) What is your favourite Christmas Movie/s? I'm not really a movie person but recently i've been watching some movies which are quite Christmassy. Elf! Who doesn't like Elf!? I also love the Home Alone movies because when they're on tv you know Christmas is close. Also watched Jack Frost the other day and really enjoyed that movie too! 2) Do you open presents on Christmas Eve or Christmas Morning? I don't know anyone that opens their presents on Christmas Eve to be honest. My family and I open our presents on Christmas morning, usually with a hot drink in hand. We're also normally nibbling on whatever chocolate is lying about, because chocolate for breakfast on Christmas Day is perfectly acceptable! One of my favourite Christmas memories is spending Christmas in Dubai with my family. I absolutely love Dubai and have been quite a few times as my Aunty and Uncle live there. This particular Christmas i remember when my brother, my cousins and I got up, we jumped straight into the pool fully clothed! I also remember my uncle dressing up as Santa and all of us chasing him up loads of flights of stairs onto the roof as we genuinely thought it was Santa at the time! I'm not going to lie, i really do love a good roast dinner. We don't have roast dinners very often in our house, usually only Christmas Day, and we make sure we have all the trimmings too. The thought of it as making my mouth water! Oooh, now this one is a hard one. I'm grateful for whatever i'm happen to receive, but i think one of my favourite presents was probably getting my first proper camera. It's a Fujifilm Finepix S200 EXR camera, and i absolutely love it for taking my outfit photos with! Also my Pandora Bracelet which i wear everyday and get charms for on my Birthday & Christmas. It's got to be the smell of Christmas Dinner cooking. Nothing beats that smell on Christmas Day! I don't really have any Christmas Eve traditions. Since i turned 18 a few years ago, people in my area all go to the local pub and get rather drunk. The pub is literally packed and turns people away, you can barely move in there. I've gone their twice i think, and i have had such a good night. It's brilliant as well because it's 2 minutes from my house! 8) What tops your Christmas Tree? 9) As a kid what was one crazy gift you always asked for but never received? I would literally circle everything in the Argos catalogue, whether it was furniture, clothes or toys lol. I'm pretty sure i asked for a slush puppy maker a couple of years in a row and never got it. I'm not surprised because i probably would of made the biggest mess! The best part about Christmas for me is the family time. We never eat at the table together apart from on Christmas Day so i love engaging in conversation with them that i might not of had otherwise. Opening presents in the morning we all sit in the front room and pass presents to each other, show each other what we've got, have a laugh etc. We sometimes play a board game after Christmas dinner too. Christmas is probably my favourite day of the year purely because of how lovely it is to come together as a family!